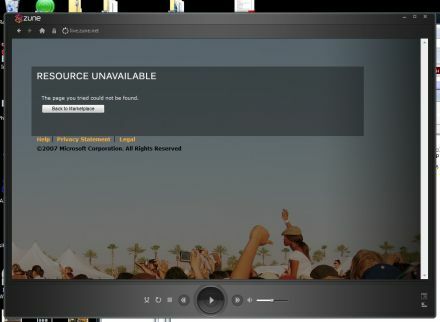 Zune Still Having Trouble With Vista? "I wrote up my impressions of the Zune a while back and have used it on and off since that time. Recently I was asked to review the PQ DVD to Zune Video Converter Suite (review coming soon). This forced me to get a Zune connected up again. Does Vista play well with the Zune? Read on. I first plugged the Zune directly into the Vista box. I figured since Vista was new and the Zune was new, it should either recognize it right away or at least go to Windows Update and grab the latest drivers. Well, I was wrong..."
That's a quote from Joel at Geek.com, and he shares his experience setting up a Zune on Vista. It seems like things still aren't quite right with the Zune, and Joel is right: with Vista the experience should be even more seamless than under XP because both are shiny and new - or maybe that's the problem. I set up my Zune on a Vista computer last month, and it worked nicely enough - though I knew to install the software first. Have you had trouble with the combination of Zune and Vista?